Vitamin D. It’s a topic we hear a lot about, and yet there always seems to be some confusion and conflicting information about it. On the one hand, we hear about how important it is to get enough of it and that a good way to make sure we’re getting enough is from exposure to the sun. But then on the other hand we hear that we need to avoid the sun during the hours when it’s at its peak (which is when we can actually make the most Vitamin D!) and that we should be covered from head to toe with sunscreen any time we go outdoors. I hardly ever use sunscreen anymore unless I know I’m going to be out in the sun for several hours in a row (and when I do, this natural sunscreen is the one I like to use.) Unless I’m going to the beach or anywhere else where there isn’t much shade available, I just enjoy my time in the sun long enough to get some Vitamin D and then head to a shady place if I feel like I’m getting too warm. I was never really much of a sunscreen wearer to begin with, though, and when I was younger I would spend hours outside in the pool, only putting on sunscreen if my mother made me, so it wasn’t hard at all for me to accept the idea of spending time in the sun without sunscreen. If you’ve been religiously slathering on a full layer of sunscreen every time you leave the house, though, the idea of purposely sitting out in the sun to get Vitamin D might sound a little crazy at first. Either way, whether you’ve a sun-lover like me or someone who’s a little bit afraid of sun exposure, here’s a list of some great Vitamin D-related information I’ve found that covers everything from how to make sure you’re getting enough Vitamin D to specific illnesses that can often be improved when you correct a deficiency in Vitamin D.
Sunshine Doesn’t Always Give You Vitamin D.
This is a post I wrote a couple of summers ago after I had started reading more about Vitamin D and had learned that just being out in the sun wasn’t enough to make Vitamin D. Whether or not our bodies can make Vitamin D from the sun depends on what time of day it is, what time of year, and the position of the sun in the sky. Vitamin D by Loula Natural. 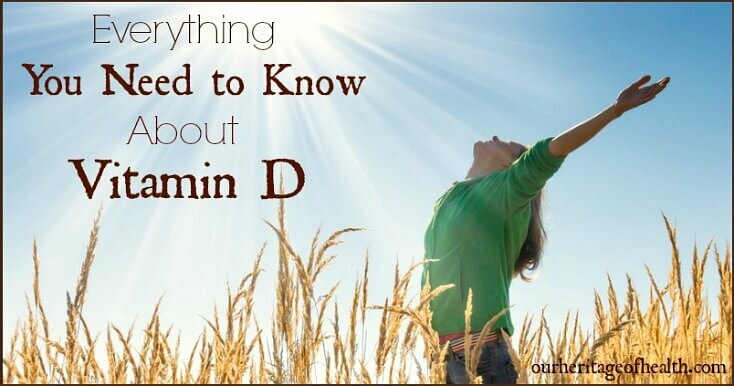 This post is a good overview of where Vitamin D is found, the role that Vitamin D has in our bodies, and how it is converted from food or from sun exposure into a form that our bodies can actually use. Are You Getting Enough Vitamin D? by The Savory Lotus. This post explains some of the negative effects that can happen in our bodies when we’re not getting enough Vitamin D. It also includes common risk factors for those who are likely to be deficient as well as some suggestions for how to make sure we are getting enough of this important vitamin. How to Get Vitamin D in Winter by Holistic Squid. For those of us living in the Northern Hemisphere, it can be impossible to get enough Vitamin D from the sun during the winter months (especially since we’re usually too bundled up from the cold anyways!) Even in the summer months, though a lot of us don’t get enough sun exposure to correct a deficiency. This post has some good suggestions for what foods have the highest levels of Vitamin D and which supplements are good to take. How to Make Sure You’re Getting Enough Vitamin D by LA Healthy Living. This post is similar to the one I wrote about how just being in the sun doesn’t necessarily guarantee that you’ll be able to make Vitamin D. It describes some of the factors that are necessary for proper Vitamin D exposure and assimilation. 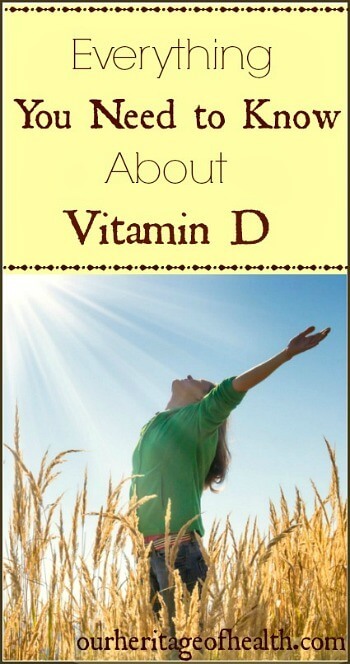 Vitamin D: Defense Against the Flu Bug by Healthy Living How To. Whether or not it’s the flu season, having a sufficient amount of Vitamin D can help your immune system to stay strong, giving you a better chance of avoiding the flu and staying healthy. 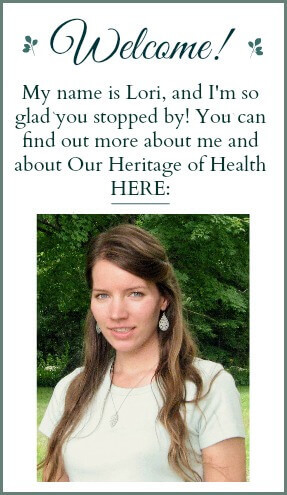 Vitamin D and Crohn’s Disease: How a Paleo Lifestyle Can Help: by Gutsy by Nature. This post discusses the role that Vitamin D can have in helping to improve digestive issues such as Crohn’s disease as well as including information about how to make sure that our levels of this vitamin are adequate.